Anyway…I have been sitting on my patio with ‘eclipse glasses’ perched on my nose, randomly staring at the sun…and then looking around to make sure the neighbors aren’t staring at me. Even though they would be the ones missing out on this actual ‘once in a lifetime’ event. Unless we live to be centuries old…we won’t see this happen again. And, personally if I am around to see this again in 2117, I don’t think I’ll be exactly excited about Venus floating across the sun…I mean, it would have just happened a mere 105 years earlier. Old hat. Just looked again…no Venus. I think Cleveland, OH got hosed. I will be saving my eclipse glasses…I might need them again. There should be another eclipse of some sort before I turn 134 right? 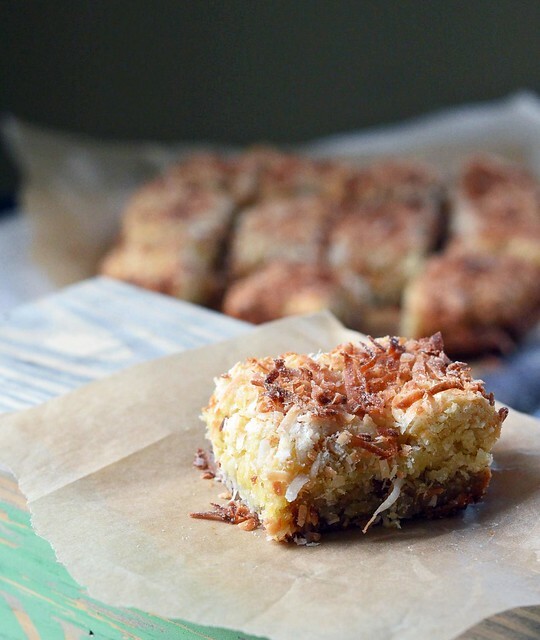 Coconut lime bars…one word, addictive. Slightly sweet and chewy and then there is the whole lime and the coconut, which triggers me to sing/mumble Hary Nilsson’s ‘Coconut’. 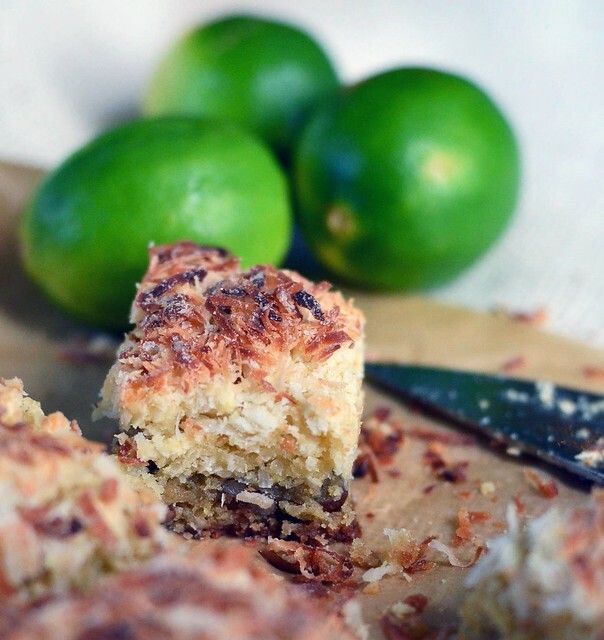 But the lime is not in the coconut and you don’t drink ’em both up….the lime is in the shortbread crust and these are to be eaten. None the less, I recommend downloading the song and dancing to it while you make these…it just makes sense. p.s. I am planning on making these again, but with a thin layer of strawberry jam atop the crust…or maybe raspberry. Preheat oven to 375°F. Line 8 inch (or 9 inch) baking pan with parchment paper, or liberally butter all sides. Set aside. In a medium mixing bowl, whisk together melted butter, brown sugar, 1/3 Cup white sugar, and 1 egg – whisk until smooth. 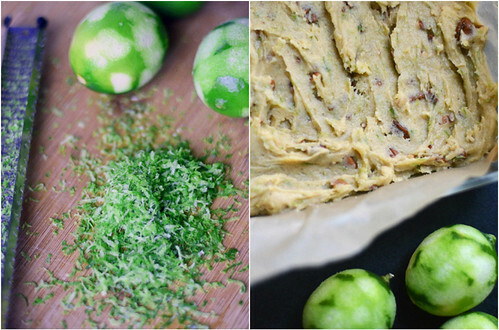 Stir in 1 Cup Flour, salt, chopped pecans, and lime zest. Press crust into the bottom of the baking pan and bake in preheated oven for 15 to 18 minutes until golden brown and set. When baking, prepare filling. 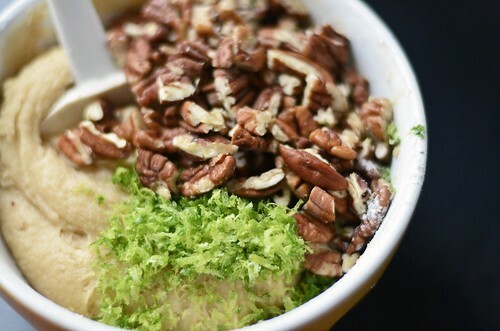 In a medium bowl, whisk together 2/3 cup white sugar, 2 eggs, and vanilla. 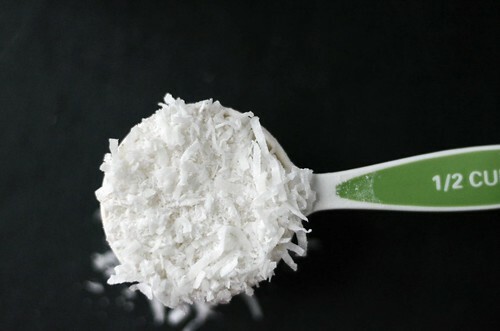 Stir in 2 Cups coconut and 1 cup flour. It will be a rather stiff batter. Spread carefully/gently over baked crust. ( placing small dollops all over crust and waiting a few minutes for the heat of the crust to slightly melt the filling before spreading evenly over crust worked well). 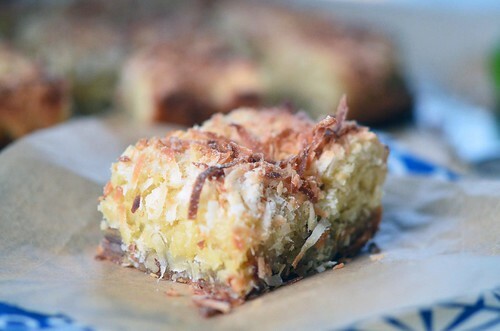 Top with the remaining 1/2 Cup of shredded coconut. Bake for 20 to 25 minutes until the top is golden brown and when toothpick is inserted, it comes out clean with a few moist crumbs. Let cool completely on a wire rack before cutting.